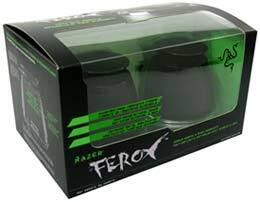 The Razer Ferox is the definitive audio reference for mobile gamers. 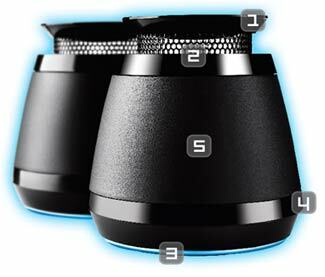 With its state of the art expandable resonance chamber, 360° Omni-directional sound and its digitally enhanced amplifier efficiency, this pocket-sized speaker system features exceptional audio and powerful bass that belies its size. Take it around in the included carrying case to enjoy a full-bodied sound experience for up to 12 hours wherever you are. Replicating a subwoofer’s resonance with auto-expanding resonance chambers, the Razer Ferox guarantees strong bass despite its diminutive size, while its distinctive driver construction ensures rich acoustics for an immersive sound stage. Experience crystal-clear audio with lower distortion levels thanks to the Razer Ferox’s digital amplification that enhances its power efficiency substantially. Enjoy loud and clear audio on the go with true-to-life quality acoustics.